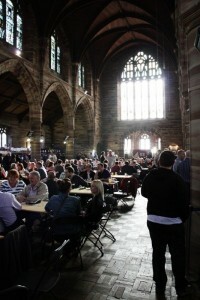 200+ Real Ales & Real Ciders including three from The Melwood Beer Company! Melwood at Waterloo Beer Festival 24th-27th October! We are pleased to announce that Melwood have two beers on at Liverpool Organic’s Waterloo Beer Festival this weekend! We have the fabulous Equinox 4%ABV – a lovely English Pale Ale and Waterloo Sunset 4%ABV which we brewed especially for this festival! This is a smooth English Pale Ale with a hint of something special! We hope you can get along there and try our beers in this fabulous old church in Waterloo.